For many years, Bishop Kussala held onto hate and anger. But today, he is one of the most passionate advocates for peace in his war-torn country. “I work so hard for peace and forgiveness because I understand the impact of war in my devastated homeland,” says Bishop Kussala. Restoring and building up this poor country, as challenging as it may seem, is the first step towards positive change. 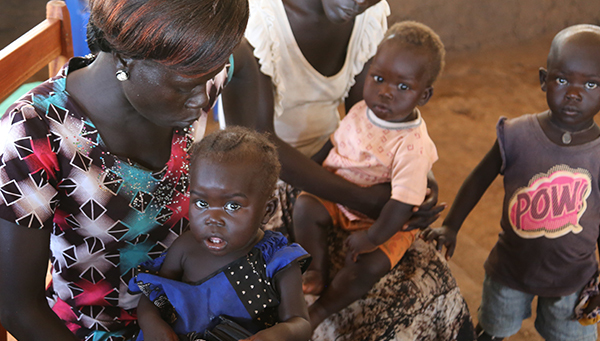 The South Sudanese, like all people, should be able to live in peace. To have access to medicine. To have food to eat. And to have clean water to drink. However, for these people to live and have hope for the future, we need your support to rehabilitate this underdeveloped country. Otherwise, it is almost impossible to ease their suffering. to their farm, grow their food, and no one attacks them,” says Bishop Kussala. Despite the inflicted suffering of these people, there are still signs of life and hope. And that hope is you. Will you please support our peacebuilding efforts? With your donation today, we will remain in the region and do everything we can to pave the way for peace and prosperity. P.S. Please send your gift today so we can strengthen this country through peacebuilding programs. Lasting transformation, positive change, and peace is only made possible with your donations.